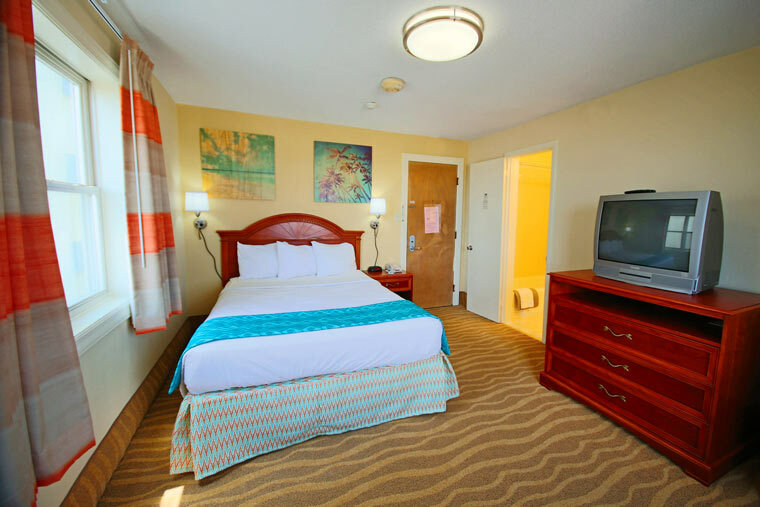 The Plim Plaza Hotel is the Ocean City destination that you’ve been looking for. 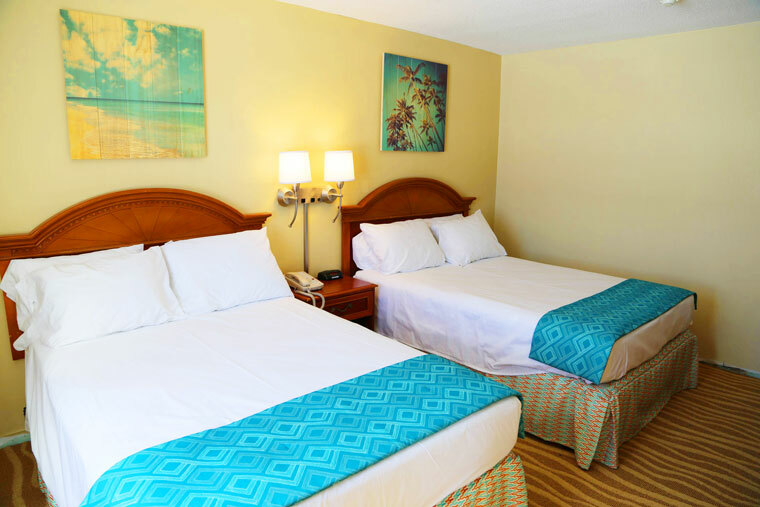 An oceanfront hotel with unobstructed views of the Atlantic Ocean, the Plim offers guests an affordable location that the whole family can enjoy. 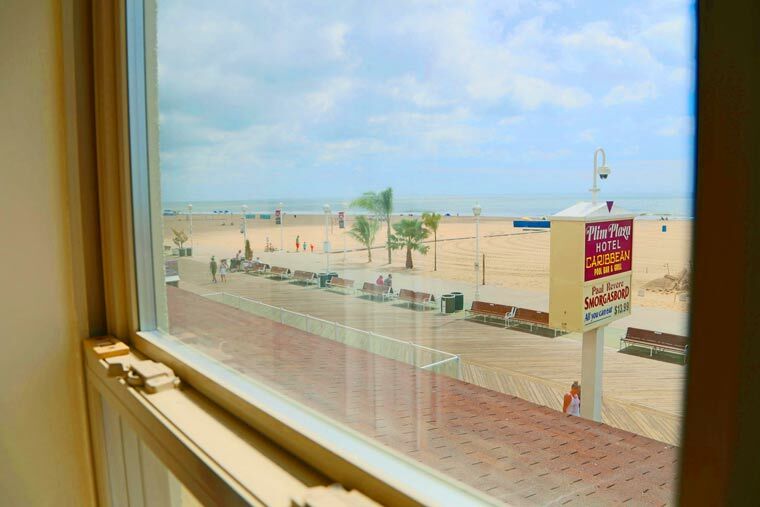 A spacious front porch with large wooden rocking chairs leads to the famous Ocean City Boardwalk where speciality shops, unique dining options, and endless attractions can be found. Spend the day rocking away to the sights and sounds of the Atlantic Ocean, or take a stroll along the boardwalk in search for a family-fun adventure. The choice is yours, but you can’t go wrong with either one. 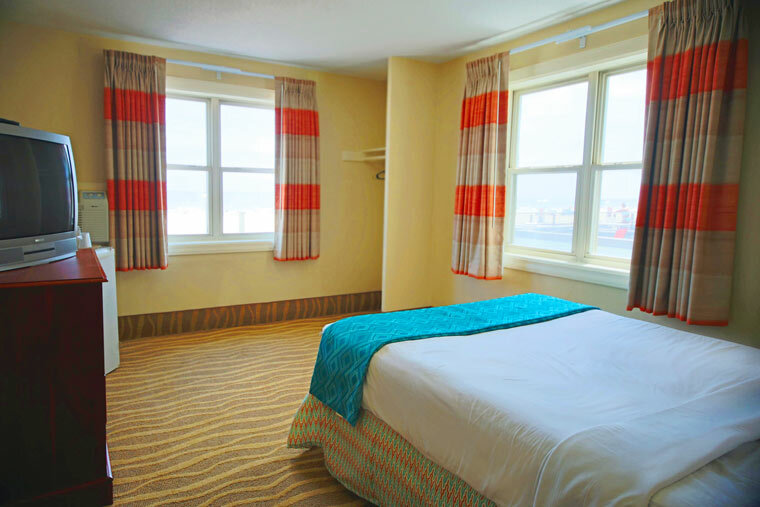 On-site you will find a plethora of amenities that transform the Plim Plaza Hotel into an Ocean City mini-resort. Choose from 4 dining options that offer everything from a buffet style restaurant to frozen drinks served under the sun. Take a dive in our olympic-length swimming pool or relax in one of our 3 Jacuzzis or cozy pool-side lounge chairs. Accommodations feature modern amenities blended with a natural look to create a pleasing guest room for you to enjoy while vacationing at the Plim Plaza. The Plim Plaza Hotel offers a little something for everyone to enjoy. Check out more information below and see how the Plim Plaza can help create your next Ocean City memory. 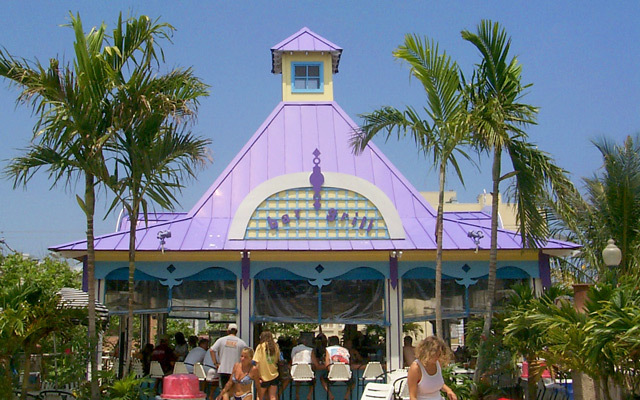 The Plim Plaza offers front row seats to the beautiful Atlantic Ocean and award-winning Ocean City beaches. 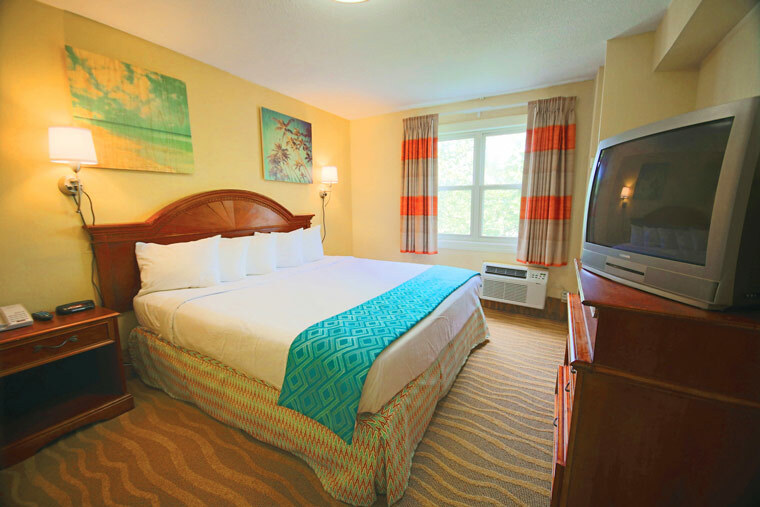 Leading you to that breathtaking view is the colorful blend that makes up our comfortable accommodations. Warm tones throughout the room fuse with cool accents that help slip you into a paradisiacal state of mind. Plim Plaza accommodations are complete with carefully considered amenities that include flat-screen TVs, free HBO, refrigerators, complimentary wifi, and so much more. 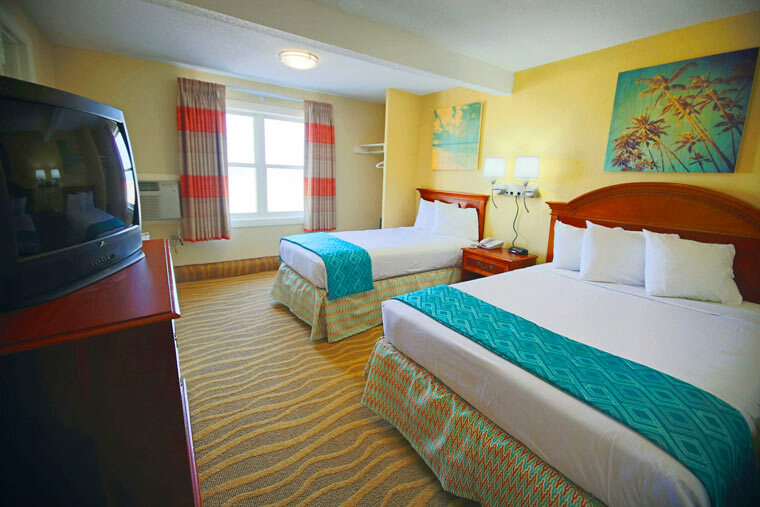 We invite you to enjoy relaxation the only way that one should: oceanfront. Only at the Plim Plaza Hotel. Paul Revere Smorgasbord, all you can eat 19.99! 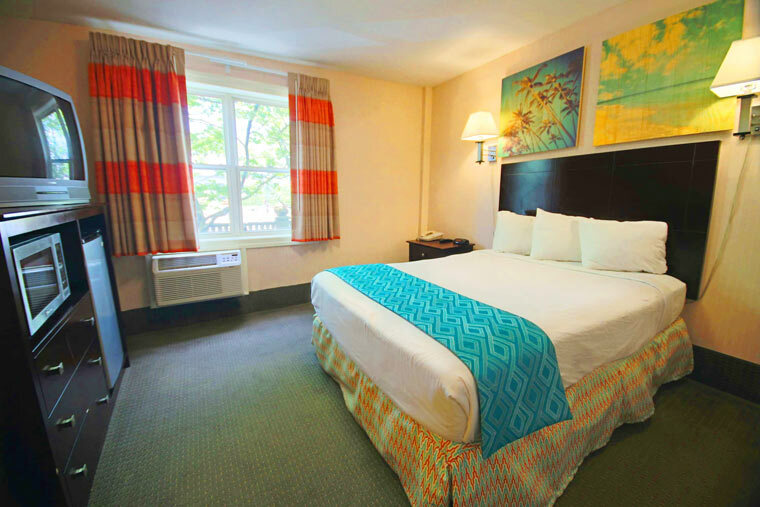 Join us at the Plim Plaza and experience comfortable and convenient amenities throughout your stay in Ocean City. While with us you will enjoy complimentary WiFi in all the guest rooms and public areas. Each morning awake to the sounds of the ocean before taking a stroll down to the lobby where you can find complimentary coffee, tea, fresh fruit and the day's newspaper. Around the grounds of the Plim Plaza we have an olympic-length outdoor pool as well as 3 jacuzzis. 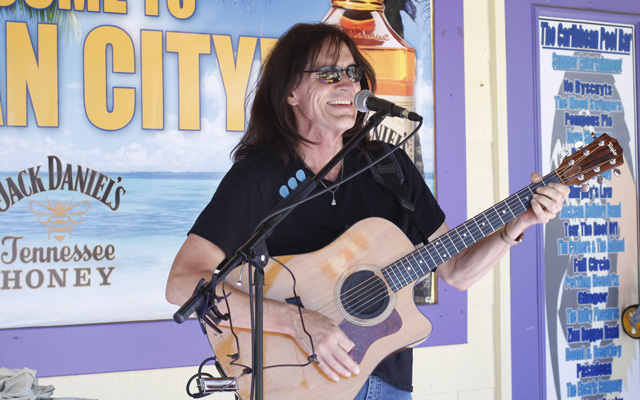 Attached to the pool is our Caribbean Pool Bar & Grill which hosts local musicians during the summer. Facing the ocean is our large, spacious front porch that is full of comfortable rocking chairs that are perfect for overlooking the boardwalk and ocean. 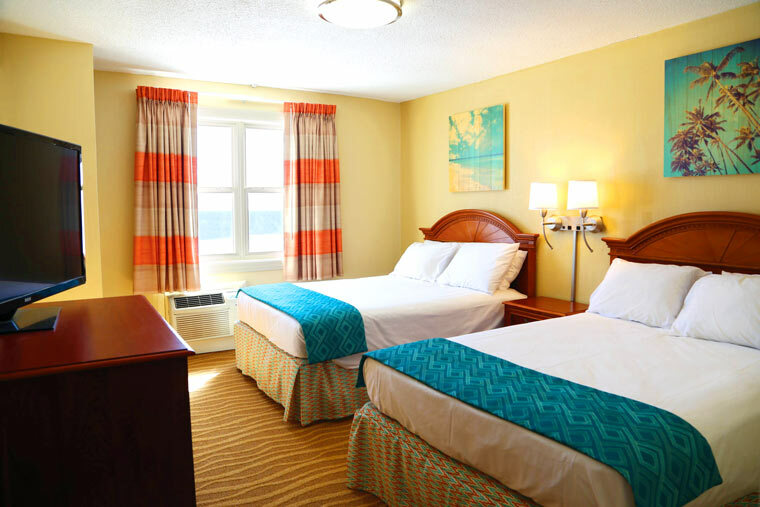 All of this and so much more can be found conveniently located in the heart of Ocean City at the Plim Plaza Hotel. Making your reservation on plimplazaoc.com has many benefits. You get the full picture of the hotel, the most up-to-date information about the Plim, and you get a chance to chat with our friendly parrot, Dakota (he’s to your left). On top of all that, when you book a room on our site we guarantee you won’t find a lower rate anywhere else. If you do, simply call us at 410-289-6181 and we will match the rate. It’s just another one of the many perks to booking directly with the Plim Plaza.